Meghalaya Chief Minister Mukul Sangma today announced the creation of a new Community and Rural Development Block in East Khasi Hills district. Of the six new blocks announced by the Governor in the last budget session, the state government is yet to formally take a call on Mawlai block to be carved out of Mylliem block having a population of around three lakh (as per 2011 census). "These particular establishments (creation of CRD blocks) of the government are to serve the most vulnerable people," the chief minister told reporters here. He said the decision to allocate the new block was taken last evening when he held a review meeting with senior officials in the finance department. Another reason, which prompted the creation of the new block, is that the old Mylliem block will continue to have over 1.13 lakh people, while Mawlai has over 1.80 lakh people (which is to be bifurcated further), he said. The new block will have villages from at least three legislative assembly constituencies – Nongthymmai, Pynthor and Mawryngkneng. 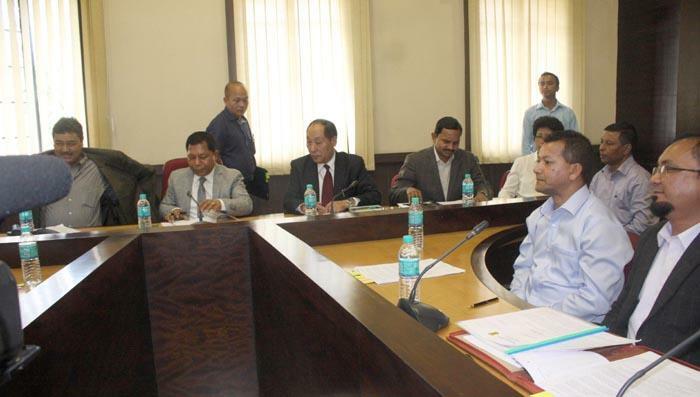 Governor Bawanri Lal Purohit had in the budget session announced the creation of six new blocks, which include Mawlai and Sohiong in East Khasi Hills, Bhoirymbong in Ri Bhoi, Demdema in West Garo Hills, Rerapara in South West Garo Hills, and Bajengdoba in North Garo Hills districts.